Local North Carolina Public Adjusters are available to do a complete review of your North Carolina hail damage insurance claim. From initial on-site North Carolina hail damage estimates to reviewing your insurance company adjuster estimates for completeness, American Property Loss local North Carolina Public Adjusters are experienced and ready to get your life back in order after North Carolina hail damage. Severe weather events such as super cell thunderstorms and the destructive tornadoes that follow remind us of Mother Nature’s power and fury. Hail is the result of strong updrafts in the atmosphere that carry water droplets to heights where they then freeze and fall to the ground as chunks of ice, also called stones. The larger the stones, the more harm they can cause to people and property. Hail often occurs in violent thunderstorms, along with lightning and strong winds, but is also associated with tornadoes. Hail occurs most frequently in the southern and central plain states. However, since hail occurs with thunderstorms, the possibility of hail damage exists throughout the U.S.
Communities damaged by these storms suffer significant hail damage to homes, businesses, and government property such as schools and other municipal buildings. In an average year, hail causes nearly $2 billion in damage. 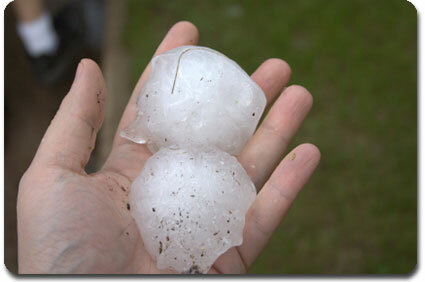 Most property insurance policies provide coverage for losses resulting from hail. Hail is a named peril, meaning for coverage to apply under a “Named Perils” policy, hail must be defined as a covered peril. Check your policy perils to see if it is written in. Filing a North Carolina hail damage insurance claim and successfully recovering your financial loss from hail damage can at times be challenging given the issues involved with insurance policy coverages and the discretionary nature of the insurance adjusting process. Many claim adjusters and the insurance companies they work for may have different adjusting standards outlined in their respective claim department manuals. If the hailstorm was severe enough, visible damages should be obvious and undisputed by the field adjuster inspecting the damages and thus coverage of the loss should be confirmed early on in the process. This is the easy part. In many North Carolina hail damage claims, however, there may be other issues you will face such as the scope of damages and the dollar amount your insurance adjuster says you are going to get paid given the insurance policy terms and conditions. Often, the assigned insurance adjuster’s training, experience and knowledge of this type of adjustment process will play a very important part in how your claim is settled. A common issue that arises is if you will be paid to replace the complete roof or if a patch job will be offered as a partial repair. The next question is if the insurance adjuster will apply depreciation to your roof and if so, is it fair or reasonable? 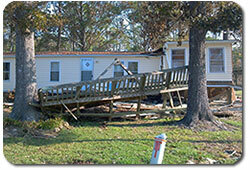 While auguring over the scope of loss and price of the repair may seem like a good thing, (at least the insurance company acknowledges that you have a covered loss) there are many other cases where the insurance company will dispute the damages were caused by hail, claiming previous wear and tear. This is where you may need the professional help of a local North Carolina Public Adjuster that will represent your best interests with your homeowners insurance claim. Whether you a have hail damage to a modified bitumen roof, a build up roof, sprayed polyurethane foam application, metal roof, cedar shake roof or any number of tile roofs, chances are you have recoverable damages as a result of a severe hail event in your community. 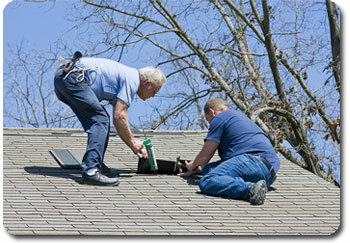 Your roof is one the most important building components of your property. You need to have the damages documented and the adjustment process completed professionally to get you indemnified for your loss. A fair and honest settlement for your covered roof damages is not only important to you but is also in the best interest of your insurance company as well.